FG vows to prosecute purveyors of fake news – Royal Times of Nigeria. Mohammed noted that over the weekend alone, several major cases of fake news were recorded, each of them capable of causing panic, triggering chaos or setting one group against the other. The Federal Government on Sunday said that it will not relent until it has exposed those behind the fake news phenomenon in the country and bring them to justice. 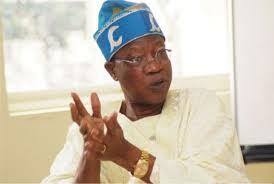 In a statement in Abuja, the Minister of Information and Culture, Alhaji Lai Mohammed said that those behind the fake news had the intention of destabilising the polity and causing disunity among the country’s various ethnic and religious groups. The statement was signed by Mr Segun Adeyemi, the Special Adviser to the Minister. The minister urged Nigerians to be extra vigilant in view of the worsening cases of fake news being spread by the unscrupulous persons. He said that a gory video of a blast that occurred many years ago was being circulated along with the false news of a bomb blast in Abuja, while news of a non-existent bomb blast in Lagos was also widely circulated. He said the Police had however debunked the fake news. Mohammed said the latest strategy being employed by the purveyors of fake news was to attribute to top government officials, improbable statements capable of destabilising the polity, causing tension and threatening the country’s unity. He, therefore, called on all Nigerians to be very vigilant so that fake news purveyors do not succeed in their quest to sow the seeds of chaos and confusion. He also appealed to the traditional media, which has a reputation to protect, to join the campaign against the purveyors of fake news.